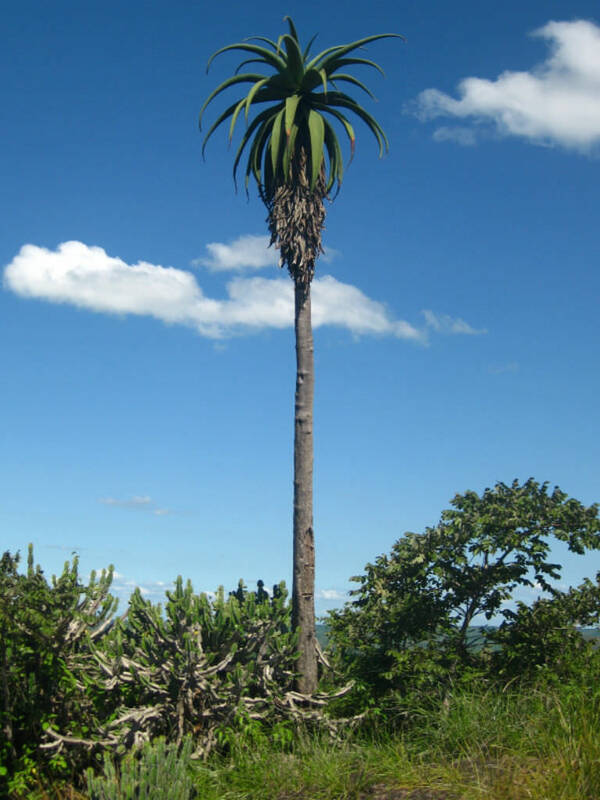 Aloe excelsa is a tall Аloe, reaching up to 19.5 feet (6 m), although 10 feet (3 m) is a more common height. It is single-stemmed and all but the lowest part of the trunk is swathed in the remains of dead leaves. 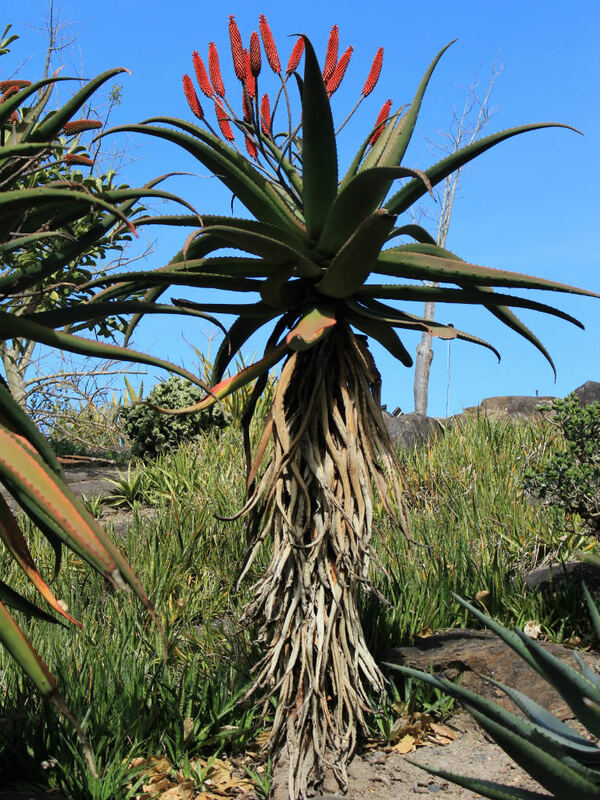 The leaves form a compact rosette at the top, spreading becoming recurved and up to 3.3 feet (1 m) long. 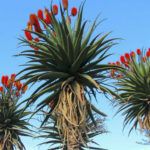 They are dark green in summer and succulent, up to 1.2 inches (3 cm) thick at the center. Similar to some other Aloe species, young plants have a great number of spines over their leaf surfaces. 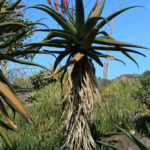 However, as they taller and less vulnerable to grazing, these brown-red teeth disappear and remain only on the leaf margins. 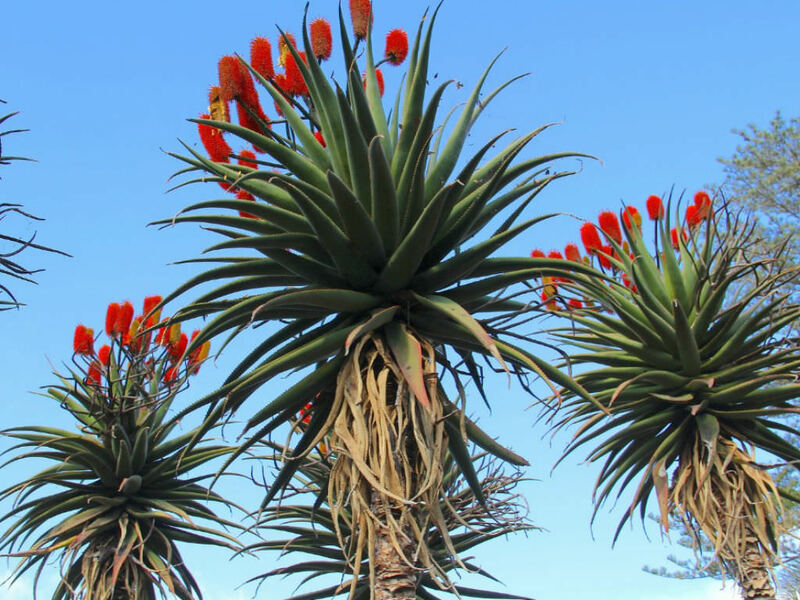 This species is frequently confused with the related Aloe ferox and Aloe africana species, to the south, and they do look very similar when fully grown. 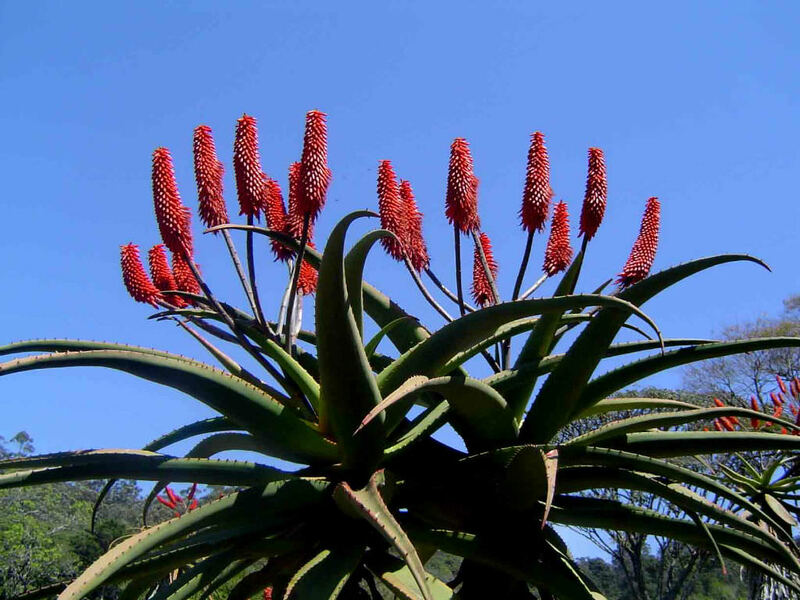 However the flowers are different, with the racemes of Aloe excelsa being far shorter and slightly curved. 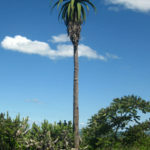 Native to Zimbabwe, Zambia, Malawi, northwestern South Africa.